Today’s recipe is chow chow kootu. 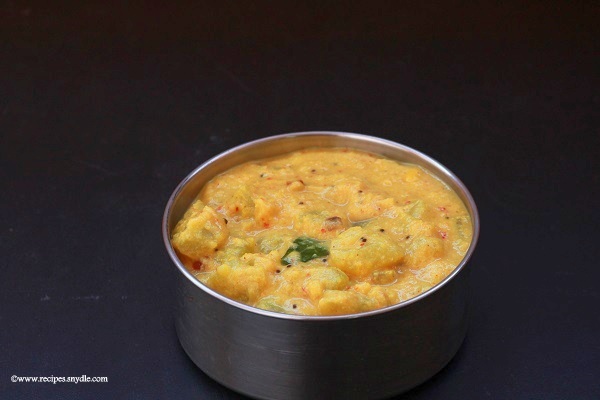 It is a south indian special side dish for rice made with moong dal, vegetables and coconut. It is a tasty curry made with chow chow. At home we all love cabbage kootu, mainly because of its similarity with kerala style molakushyam. It is a very comfort food and is also satisfying with rice. Kootu is very easy to make at home. First cook the dal and chow chow together in a pressure cooker. You can also cook dal in an open pan. But if you are cooking dal in an open pan, then soak dal for 30 minutes to 1 hour before you cook. 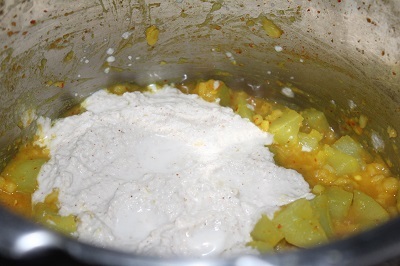 Then add around 2 1/2 cups of water for every half a cup of moong dal and cook in low flame. When you soak the dal, it gets cooked faster. 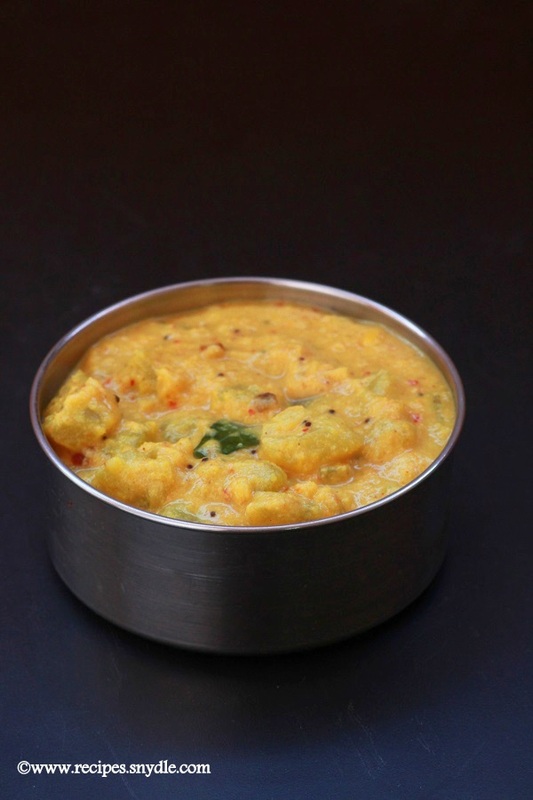 Kootu is a south indian style side dish for rice made with dal, vegetables and coconut. It is made during all festivals in Tamilnadu. 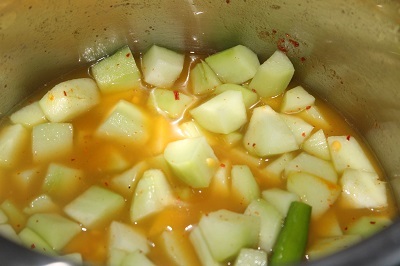 Kootu can be prepared using various vegetables and today, I have prepared kootu using chow chow. It is very easy to make and tasty. It is served with rice. It can also be served with phulkas or with chapati. You can also make kootu with a mixture of vegetables. I have used moong dal here, but you can also make use of toor dal, chana dal or a mixture of both. The addition of rice flour to kootu is optional. But I prefer adding rice flour to kootu, because addition of rice flour makes the kootu thick and creamy. This lightly spiced moong dal and chow chow kootu is a very tasty combination. 1. Clean and peel off the skin from chow chow. Cut it into half. Discard the seeds. Cut into small pieces. 2. Add the chopped chow chow pieces, turmeric powder, sambar powder,moong dal and salt to a pressure cooker. Add water and mix well. Pressure cook for 3 whistles. 3. 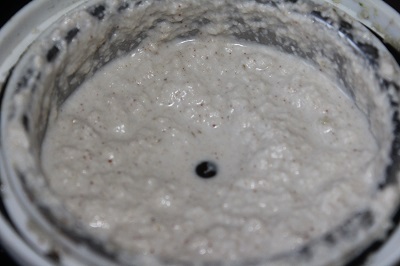 In a mixer jar, add grated coconut, cumin seeds and rice flour. Add a little water and grind it to a smooth paste. 4. Add the ground paste along with the cooked veggies, and mix well. Bring it to a boil. 5. In another pan, heat oil. When oil is hot enough, splutter mustard seeds. 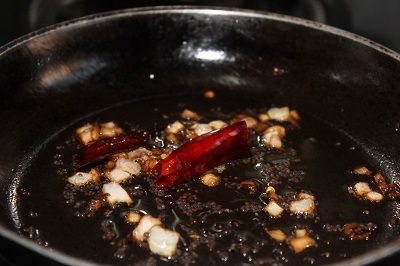 Add urad dal, curryl eaves, and saute for a few seconds. Turn off the flame and add the tempering to the curry. Mix well. 6. Chow chow kootu is ready. 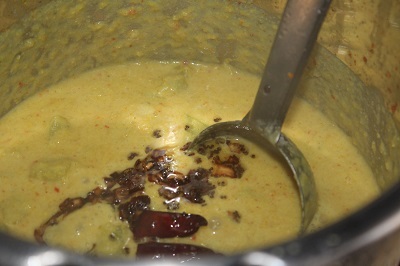 Serve with poriyal and kuzhambu.